You’ll love what a Sprint Booster V3 will do for your ALFA ROMEO! • Increase your ALFA ROMEO's performance in 10 minutes or less! Why Do People Like Sprint Boosters So Much? Since 2000, auto manufacturers replaced responsive cable throttle systems with the cheaper electronic versions. Unfortunately, they've robbed your ALFA ROMEO of its performance. Sprint Booster not only corrects this problem, it actually improves your throttle response. It unlocks your ALFA ROMEO’s potential, creating a quicker, more responsive drive. So after you install Sprint Booster, you feel a huge difference the first time you hit the gas. What happens in your ALFA ROMEO when you hit the gas? Usually, you get a full second of delay before you start moving. Sprint Booster Power Converters eliminates this unwanted hesitation and replaces it with a quicker acceleration. • Enable faster passing • Increase the responsiveness when driving uphill. 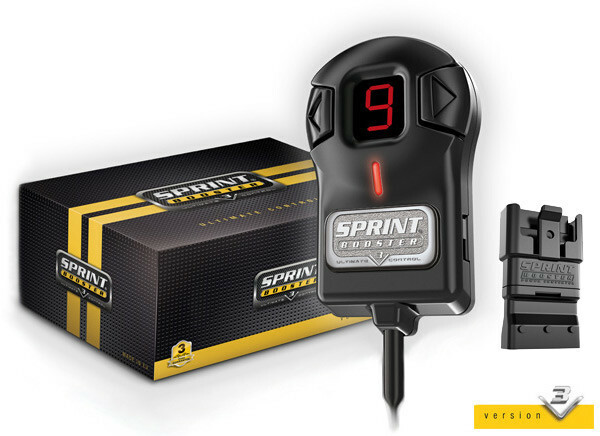 Test Drive Our Sprint Booster With a 30-Day Guarantee! We’re so convinced that you’re gonna love your Sprint Booster Power Converter that we offer a “No Questions Asked”, bulletproof 30-Day Money Back Guarantee. Give it a risk-free test drive, see what you think. And if it’s not for you… send it back. No harm. No foul. • Instant transmission and fuel adaption. Put the pedal to the metal and make driving your ALFA ROMEO fun again with Sprint Booster Power Converters.